HBO has steadily been getting their cred all the way up with the coming Watchmen TV series. 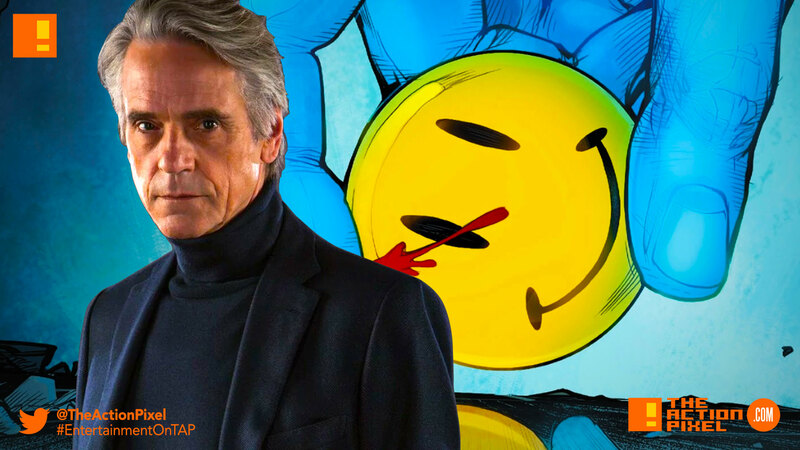 We now get information on who Jeremy Irons is set to portray in the series – an older Ozymandias. You know, the guy that killed half the world’s populace via a synthesising an “alien” psychic attack and framing it to look like it was connected to Dr. Manhattan. It will be interesting to see how his deed affects him, if at all, in old age and how much spritely he’ll be to defend the lie in his old age. It’s also learned that Legion and Fargo star Jean Smart has joined the cast as a FBI Agent Blake investigating a murder and who also tracks down vigilantes. Not much is known about her character, but she happens to share the same last name as The Comedian. Damon Lindelof (The Leftovers, Lost) creates a modern-day reimagining of Alan Moore’s groundbreaking graphic novel about masked vigilantes. Based on the Alan Moore graphic novel, Watchmen is set in an alternate history where “superheroes” are treated as outlaws. And while Lindelof (The Leftovers) plans to embrace the nostalgia of the original groundbreaking graphic novel, the series will also attempt to break new ground of its own. Oscar-winner Jeremy Irons (Reversal of Fortune) is the latest actor to join the cast. You can also expect to see Regina King (The Leftovers); Golden Globe-winner Don Johnson (Miami Vice); Tom Mison (Sleepy Hollow); Frances Fisher (Titanic); Jacob Ming-Trent (Superfly); Tim Blake Nelson (Lincoln, HBO’s Warm Springs); Oscar-winner Louis Gossett Jr. (An Officer and a Gentleman); Andrew Howard (The Brave, Boardwalk Empire); Yahya Abdul-Matteen II (First Match), and Sara Vickers (Endeavor). Also joining the cast are young actors Dylan Schombing (Sharp Objects, Girlfriend’s Guide to Divorce), Lily Rose Smith (The Vampire Diaries), and Adelynn Spoon. Nine Inch Nails musicians Trent Reznor and Atticus Ross (who first worked together as film composers on The Social Network) will be creating the original music for the series. Lindelof, who will be a writer on the show, will also serve as an executive producer, alongside Nicole Kassell and Tom Spezialy. Kassell (Westworld, The Leftovers) is slated to direct the pilot episode. Additional executive producers are director Stephen Williams and Joseph Iberti. The series is produced for HBO by White Rabbit in association with Warner Bros. Television, based on characters from DC.